Improve your daily routine with more freedom in your home. Make your daily life easier and more convenient. Safe, reliable options for any staircase, inside or out. A helping hand for laundry, groceries, and more. Vertical and inclined platform lifts for any configuration. For over 30 years, Freedom Lifts has been installing stair lifts, elevators, dumbwaiters and wheelchair lifts across New England. All of our products are made in the USA and our warranty reflects it. When you work with Freedom Lifts, there’s no sales nonsense — just plain facts and great pricing. 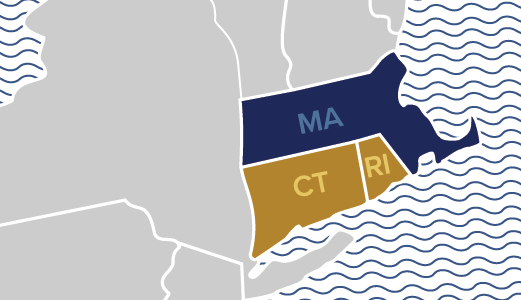 In Connecticut and Rhode Island, Freedom Lifts installs residential elevators, stair lifts, dumbwaiters and wheelchair lifts. Freedom Lifts has extended our stair lift installation service to Massachusetts. Call us now to set up a free in-home evaluation and demonstration. See why more people buy stair lifts from a local company like Freedom Lifts.